Last weekend we were at the World Record Dogs event at the Melbourne Showgrounds and we had a fabulous time! We got to meet lots and lots of gorgeous people and their pooches. And of course, we photographed them in our super fun Photobooth. 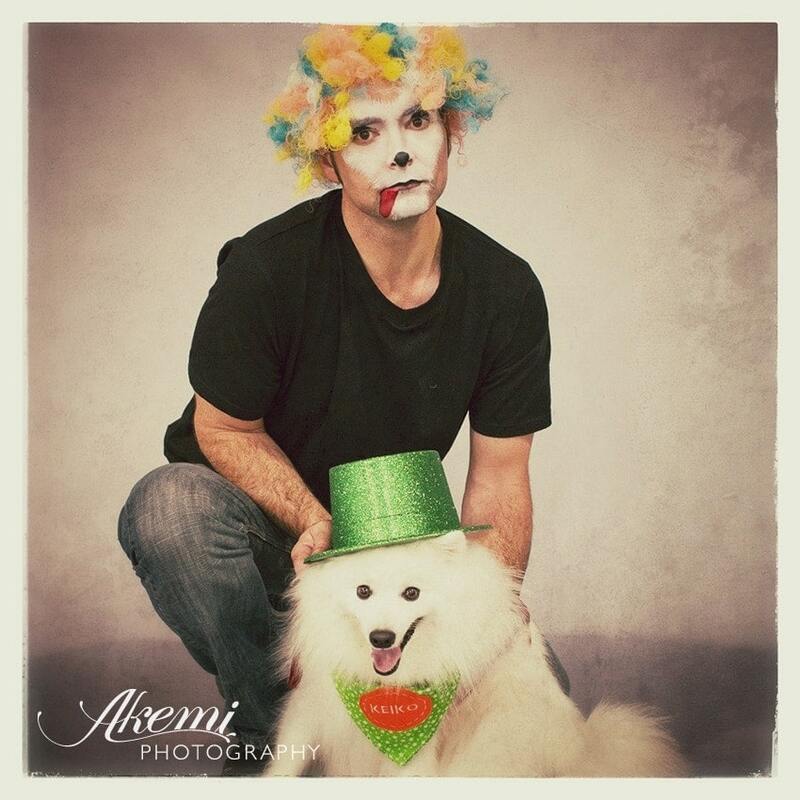 The Photobooth was part of the activities we did to raise money for Australian Working Dog Rescue. Here are some of the fun photobooth photos!! If you were part of our photobooth and haven’t seen your photo yet, be sure to check out the facebook album with them all here. Of course, our Keiko was part of the day with us. How could he not be – we want our dog to be a part of a World Record Attempt. He donned his Keiko bandanna and was photographed for that. Sam also had his face painted to be part of that world record attempt. And because the photo is just so adorable, he’s a photo of Sam and Keiko. I really don’t know who is cuter here! !